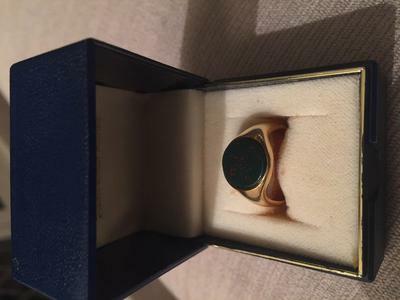 I have been given a ring by my grandmother so any info would be a great help! The ring is gold with a bluey/green stone with red speckles. It has the letters RNW on the inside then the crown, 18 and the letter N.